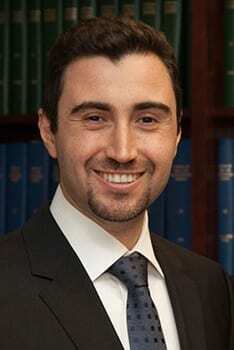 Dr. Jandali is a dual degree board certified Oral and Maxillofacial Surgeon. He earned his dental degree at McGill University in Montreal, and his medical degree at New York City’s Columbia University. He also completed his Oral and Maxillofacial Surgery residency program at Columbia University. Dr. Jandali also brings to our practice a year of internship at Harvard University/ Massachusetts General Hospital and a year of private practice experience at a highly reputable surgical group in Lowell, MA. His clinical interests include reconstructive and orthognathic jaw surgery, maxillofacial pathology, Botox and Juvaderm treatment, and dentoalveolar surgery including wisdom teeth extractions, dental implants, and bone grafting procedures. As a dual degree surgeon graduating from the one of the country’s finest oral surgery programs, Dr. Jandali is well geared to provide comprehensive oral and maxillofacial surgery services to his patients and safely administer all types of anesthesia. Dr. Jandali decided to relocate with his family to the Chicago land area in 2017. He’s excited to be part of the great Naperville community. Outside of work, he loves to spend time with his wife and two sons. He also enjoys outdoor activities and playing soccer.